A few months ago, I remember reading an article which indicated that GMOs were leading farmers in India to commit suicide. The title of the article was a bit odd, so prior to reading it, I thought that GMOs were leading to some sort of chemical imbalance leading to depression. However, when I read the article, I found out that many farmers in India were committing suicide because they had bought Monsanto seeds at sky-high prices, the crops did not perform miracles as it had been promised, and they were in so much debt that they would commit suicide. Just type in "Indian farmer GMO" in Google. Here's a typical article on the topic. So, I've received 2 requests to review this topic. At first I declined, because I felt that it was a socio-economic phenomenon rather than a health impact. But I'm on vacation this week with limited journal subscription access, so I thought that this might be a good topic to tackle. The first document I read was entitled "Thirty Minutes: Farmer Suicides, Human Rights, and the Agrarian in India". The document was put together by the Center for Human Rights and Global Justice from the NYU School of Law. The report's goal is to outline the human rights of cotton farmers in India in the hopes that the Indian Government will act. I thought it would be a good place to start since it's a fairly recent document. The numbers are pretty staggering: official numbers indicate that over 250,000 farmers have committed suicide in the past sixteen years (and the actual numbers are probably higher). Numerous studies have found that the predominant cause for these suicides are indebtedness. The report goes on to explain that in the 90's, the International Monetary Fund and other organizations encouraged the Indian government to open it's markets to international trade and multinationals. This led to the abolition of agricultural subsidies that had helped farmers for decades. Additionally, since the cotton was being traded internationally, prices were much more volatile. These factors alone led many farmers into debt. To compete on the global market, the farmers turned to "innovative, but expensive, biotechnology" which promised higher yield and greater pest resistance. Often, these didn't deliver what was promised, driving the farmers even deeper into debt. These seeds became available in India only after the economic reforms. The report specifically calls out Monsanto's Bt cotton, where the area of cultivated Bt cotton jumped 260% in just one year (2005-2006). The Bt seeds cost 2x more than "normal" seeds. Many farmers lost their crops due to droughts, which drove them to suicide. According to the report, Bt cotton requires more water than average cotton in order to get high yields. So rain-fed crops often fail and Bt crops generated much lower yields in the years of drought than non-Bt crops. This fact had not been well communicated to the farmers, and although the boxes for the seeds had warnings stating that the fields had to be properly irrigated, many farmers could not read English and remained unaware of this requirement. Apparently, the Bt seeds were being aggressively marketed, and demos were set up in irrigated fields which showed high yields and plenty of crop. Coupled with additional cultural issues, including huge dowries, the number of suicides among farmers drastically increased. Suicide of women farmers are most tragically under-reported, because they are not officially considered farmers since the land they work on is seldom in their name. Likewise, tenant farmers are not counted either. Although suicide data is segregated based on profession, there are no records of type of crop planted, where the seeds were obtained, or whether they were GM crops or not. The shortage of fields with suitable irrigation systems is likely to become worse as India moves to privatize water supplies and irrigation pathways. The suicide of farmers in India consists of a failure of the Indian government to respect, protect and fulfill the right to life. This includes ensuring that third party entities, including businesses, do not interfere with the enjoyment of this right. The report included one page of recommendations, both for the Indian government as well as agribusinesses. All the recommendations were incredibly reasonable and make great sense. Recommendations to agribusinesses include "revising their practices to take account of the human rights of Indian farmers". GM cotton was first introduced to India in 2002, and by 2006 nearly 40% of the cotton crops were Bt cotton. The number of suicides amongst farmers represents a "minor and stable share of total suicides in India". The number of suicides amongst farmers is significant and seems to be increasing, but so is the total number of suicides in the general population. There were also two peaks in the number of suicides per year: 2002 and 2004. There are more suicides amongst farmers in specific states. In 2003, the yield average for cotton was far below the global average due to many different factors including the lack of irrigation systems, the reliance on monsoons, and the infestation of pests, particularly the American bollworm. 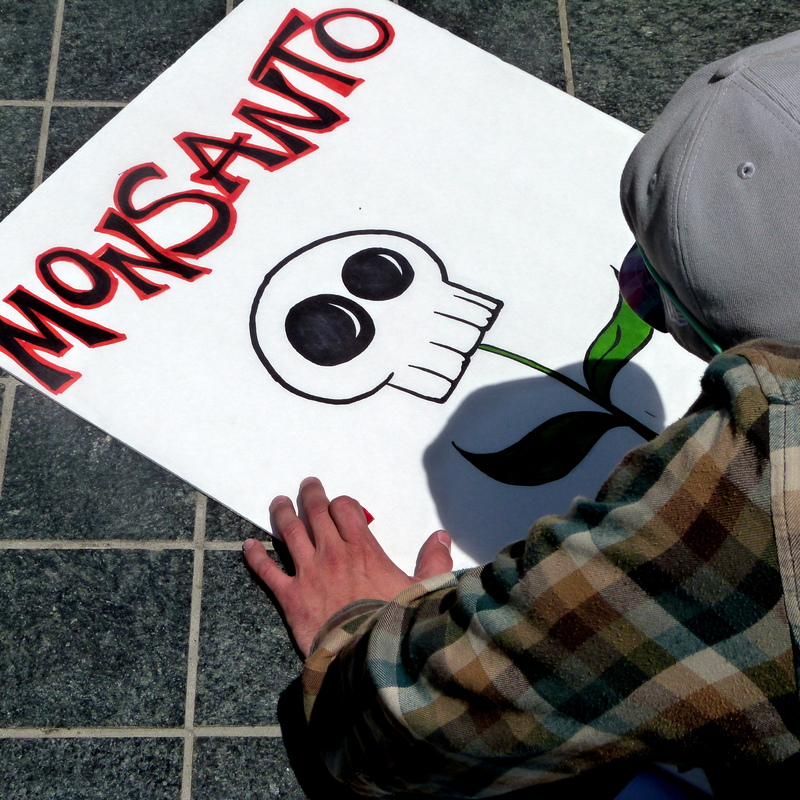 The first GM crop approved in India was a strain of Monsanto's Bt cotton (MON531). Data shows a significant increase in cotton production at the point in time when Bt cotton was introduced. This increase is not equivalent across all states/regions. Assuming that the increase is not due to climate or other factors, the authors hypothesize that the increase in yield may be due to the introduction of Bt cotton. There was a drop in pesticide consumption, which coincides with the introduction of Bt cotton. However, there's no real proof that it's due to Bt cotton. Bt cotton seeds were initially sold at 5x the price of the local variety of seeds. This lead to a black market of sorts for seeds, where you could get Bt seeds at a cheaper price. However, these were generally a blend of Bt/non-Bt seeds which didn't perform well and often led to the loss of crops. There was a huge surge in the variety and number of GM seeds available in a very brief time period, with little/no information or education for the farmers. This left the local farmers at the mercy of the ag companies to receive education on how the crops should be planted and what was required. Bt crops require less pesticides, particularly against bollworms, but there are pests that these seeds are not resistant against. Additionally, there's an optimum schedule and spectrum of pests that should be sprayed against. The farmers were not aware of these requirements, and followed their own pesticide schedules, leading to bollworm resistance and the return of the pests (this particular issue seems to have been resolved in later years). This report also cited studies showing that irrigated Bt cotton fared better than rain-fed crops. "On average, a large majority of Indian farmers gained significantly by adopting Bt cotton varieties in most locations and seasons." Some of the regions that had higher suicide rates were those where the impact of Bt cotton was less significant on yields and net income. Although indebtedness is not new to Indian households, the nature of the debt is new (i.e. the attitude of "going for broke"). There is no correlation between the rate of adoption of Bt cotton and farmer suicides. In fact, the rate of suicides decreases after the introduction of Bt cotton. However, the possibility that Bt cotton may have caused a "discrete increase" in the number of suicides in specific regions and in specific years cannot be discarded. The reports point out that the issue of suicide amongst farmers is far too complex to attribute it to any single factor, but indebtedness in undoubtedly the leading factor (which arises though several different causes). The report aggressively states that "it is not only inaccurate, but simply wrong to blame the use of Bt cotton as the primary cause of farmer suicides in India", particularly since it has been quite successful. There's a sentence in this latter report that I think can summarize the whole issue (or at least my thoughts about it): "the technology, represented by the Bt trait, should not be blamed, instead, the conditions in which it was introduced, sold, and used explain some of the observed losses in specific regions of India." Here's a thought: if Monsanto had introduced a non-GM seed and marketed it in the same way, the exact same issues surrounding the lack of appropriate information and education may have existed. So I honestly don't think that genetically modified seeds have anything to do with the issue at all, as pointed out in the second report. So then we're back to the question of whether we're blaming Monsanto because we think it's an evil corporation. Although I strongly feel that Monsanto could act more ethically and work with local partners to improve the condition of farmers in India, there are so many factors in this equation that even if they did fix things on their end, I'm not sure that it would solve the problem altogether. So there you have it. GMOs are not causing the suicide of farmers in India. Before researching this topic, I felt it was a socio-economic problem and I still feel that way.